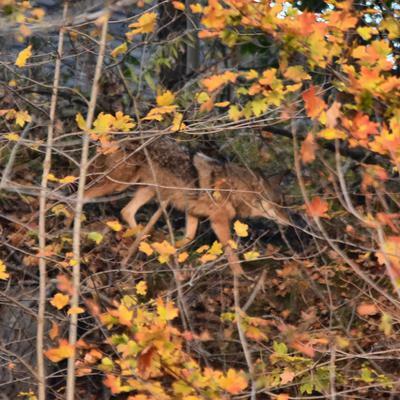 Coyotes are a regular sighting in the Greater Royal Botanical Gardens area. I was a bit concerned about this one, due to the possible mange pattern on its upper back. This is not an alarmist post as Coyotes belong in the R.B.G. valleys, it is just an informative report. Thank you for sending this to us.